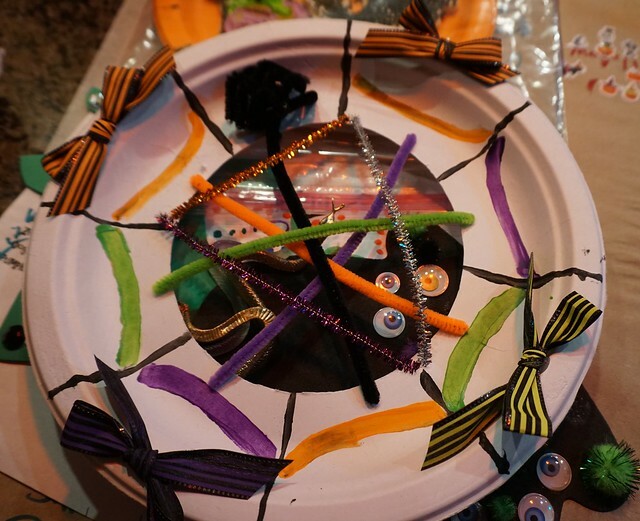 This past Friday, I hosted a SURF (Sweet Unique aRtsy Friends) Club Halloween party for sixteen neighbor girls between the ages of 5 and 15. With that many girls I decided to create three craft stations and divide them into three rotating groups. 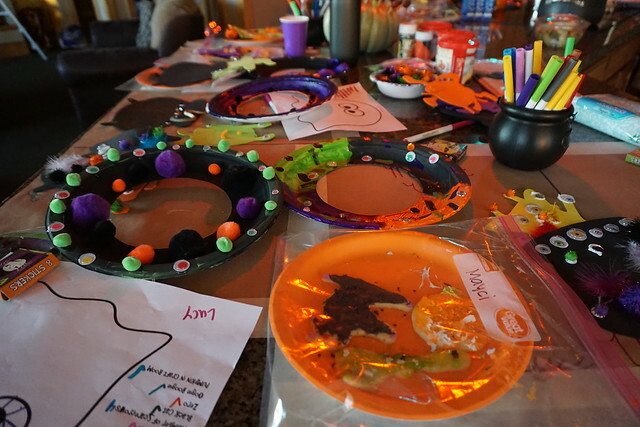 In my Craft Cove, the girls made Halloween wreaths. 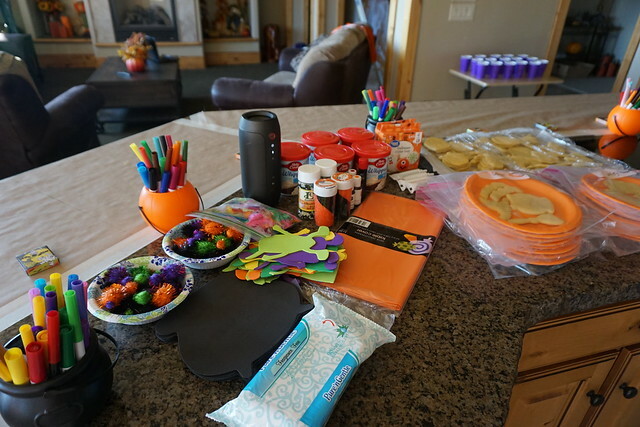 I set up the table with pre-cut paper plates, paints (purple, orange, black, green), brushes, markers, pom poms, ribbon, gems, googly eyes, chenille stems, scissors, and glue. 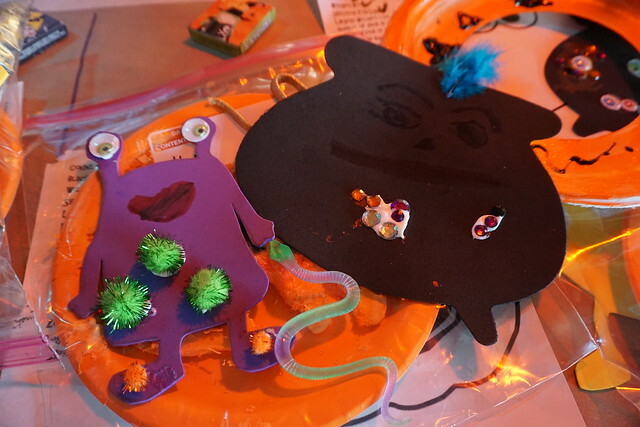 At the second station the girls decorated foam cauldrons (from Dollar Tree) and created monsters from pre-cut monster shapes my son created for me, with pom poms, gems, googly eyes, feathers, markers, and glitter glue. 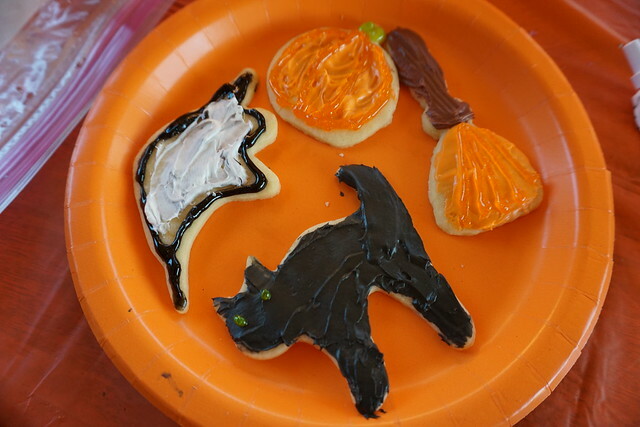 I didn’t take a picture of the kitchen table, which was the third station, but the girls decorated sugar cookies there. I made the cookies the day before. 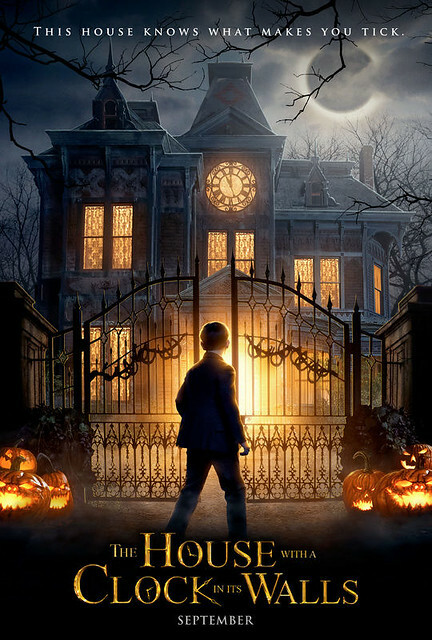 There were witch hats, brooms, cauldrons, pumpkins, ghosts, bats, cats, spider webs, coffins, skulls, bones, and tomb stones. My daughter made up plates of cookies, covered them with gallon zip locks, and labeled them with the girls names ahead of time. I thought that was a great idea! 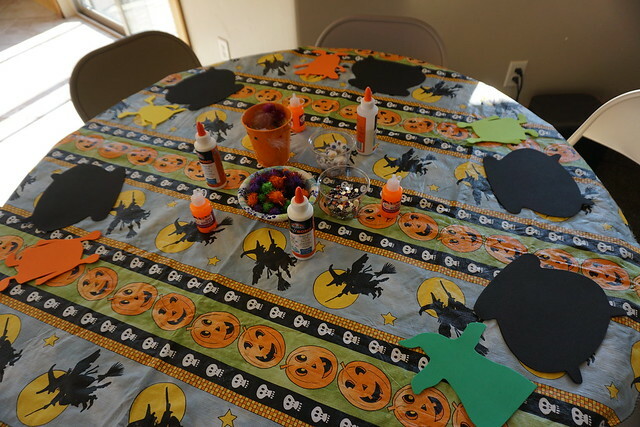 For decorating, we provided vanilla frosting in black, green, orange, purple, white, and blue, Halloween perils, writing gels, and plastic knives. 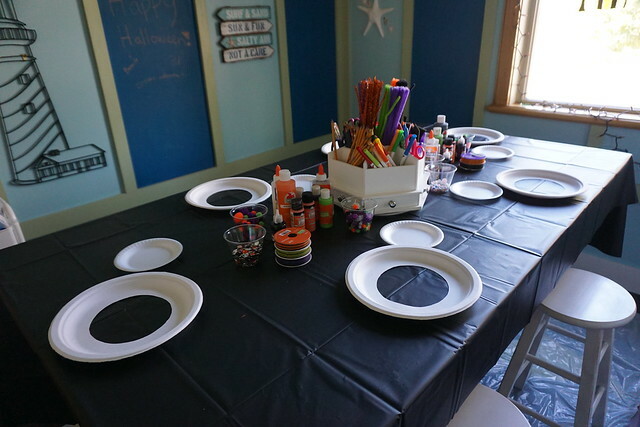 When I give these parties, I’ve learned to provide a space for the girls to keep their projects together. I lined the bar side of my kitchen island with kraft paper and used a pencil to draw lines so that each girl had an equal space. As the girls arrived, I sent them to the counter to select a space and write their names. Another trick was to have the girls names on paper cups and have an assigned place for their cups so they could get drinks as needed. Is it just me or does this cauldron look a bit like the Kool-Aid pitcher? I didn’t have time to take any more pictures. Hosting is a full time job! Luckily, my two sons stuck around to help me. They each took a station. I served the girls mummy hotdogs and mac ‘n’ cheese in jack ‘o lantern cups. They watched The Nightmare Before Christmas and munched on Halloween Chex mix. My son made up an orange punch for them with gummy worms in it. I also had a Halloween scavenger hunt to keep the girls busy between their craft rotations (some girls finish quickly, others take their time). The best part for me was decorating for the party. I love to decorate my house for holidays and I especially enjoy decorating around my fireplace. 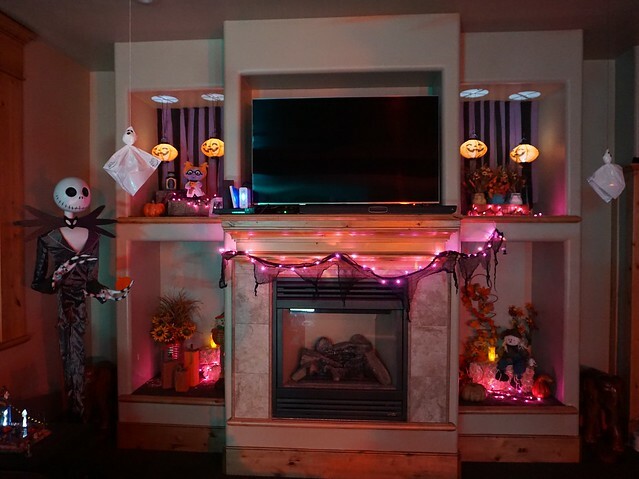 But I have a Halloween town and all sorts of decorations throughout the main rooms of my home. My kids think I’m nuts! But the girls loved the ambience. 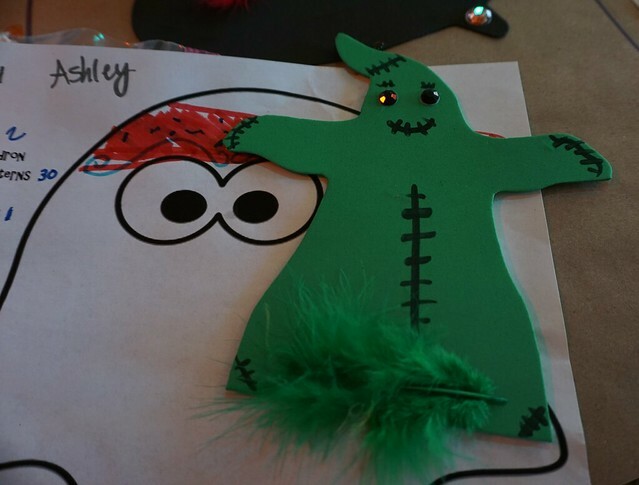 We even had Halloween music playing in the background while the girls crafted. Oh, and the girls all came dressed up as well. For those of you who may not be familiar with trunk or treat, it’s an alternative to door-to-door trick or treating. This was a church activity this past Saturday night. We enjoyed barbecued hot dogs and hamburgers and then as it got darker, we moved to our cars, opened our trunks and let the children go at it. 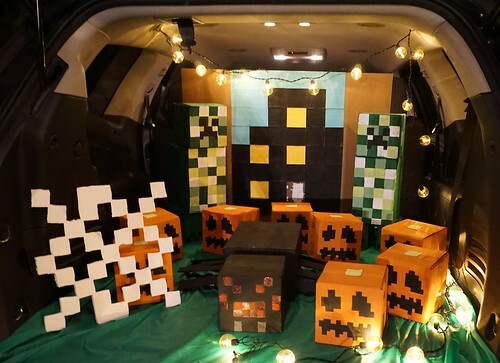 This year we went with a Minecraft theme (last year was a cemetery theme). Marcus and I created each piece ourselves: 2 creepers, 8 pumpkins, 1 spider and web. It took up most of our free time last week and was a fun activity to tackle together. 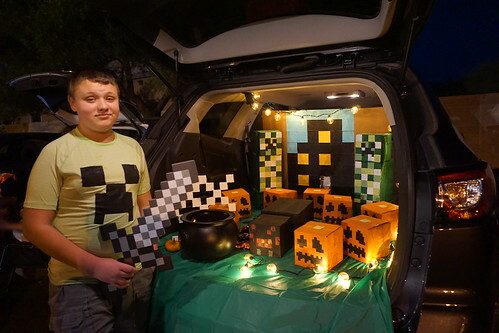 Marcus loves Minecraft and many of the children who came to our car for treats were Minecraft fans as well.